With beautiful views of Durban, the Indian Ocean and Durban Harbour this modern, boutique 4 star hotel boasting 101 bedrooms are situated on the ridge of Musgrave’s popular Ridge road. Our Deluxe Rooms magnificent city, sea and harbour views from their private balconies, while our Standard Rooms offer inland views of the immediate surroundings. A well established, elegant conference venue, right in the heart of Alton. A family run events venue catering for groups up to 100 people. The Function Room strives for excellence and personal attention to detail to make your event memorable and successful. They cater for events up to 100 guests. The air-conditioned facility is equipped with state-of-the-art technology, such as a motorised drop down screen and high definition overhead projector, and electric piano and classic sound system with cordless microphones. The Function Room boasts VIP seating – the perfect setting for photographs. Parking is safe and secure and there is also a 3-metre wide entrance for clients who wish to bring large items into the venue. At The Function Room you can be assured of personal attention to ensure that all your requirements are met. Whether you are looking for an exclusive, elegant and intimate indoor venue or an outdoor garden area, Macnut Farm in Assagay will cater for every need at affordable prices with personalised care. This unique venue nestled along the banks of the Umhlatuzana river in the picturesque Assagay Valley provide a tranquil and lovely backdrop for any function or wedding. Macnut Farm is dedicated to providing personal assistance and service with all the details of your wedding to ensure a distinctive, magical day for the special couple and guests. Macnut Farm is conveniently situated halfway between Pietermaritzburg and Durban, with easy access off the N3 and M13. For all your function needs; from corporate workshops, special birthdays, anniversaries, product launches or team-building to intimate dinner for two; nothing can be too much effort or trouble for Macnut . There are several venues to accommodate a variety of functions on. Macnut Farm can accommodate small intimate functions, large to small corporate events and functions, private baby-showers or kitchen-teas, memorable birthday parties, team-building and workshops. Macnut Farm will do their best to configure the venue to your individual requirements and needs. The large garden nestled along-side the Umhlatuzana River has ample options for outdoor activities or just to relax and absorb nature in this tranquil and picturesque setting. Parking is plentiful and easily accessible. The many options that the venue offers will make your function unforgettable and memorable. Teaming with game, one of Bonamanzi’s distinctive features is the freedom to safely explore and experience the bush first hand on your own, or in the company of passionate field guides, who are a wealth of information. A glorious climate prevails all year. Big 5 enthusiasts will enjoy the nearby Imfolozi/Hluhluwe Reserve with its abundance of lion, elephant, rhino, buffalo and leopard. Birding enthusiasts are usually overwhelmed! Families with children love the fact that they can explore safely. A host of activities have been designed to cultivate an interest in wildlife, and keep even the most active occupied whilst their parents enjoy some relaxation. Comfortable, elegant accommodation for 230 people equipped with all modern amenities; include en-suite chalets, and luxurious lodges where luxury blends into the lush greenery in true African style. Incredible settings mixed with outstanding cuisine tempt even the most discerning palates. Celebrations and Weddings are a speciality of Bonamanzi. A spectacular natural backdrop creates distinctive, unsurpassed memories of joyous occasions. Unmatched conference facilities can host up to 500 delegates and include 3 different venues depending on requirements and size. In house events, photographer, co-ordinators, and specialised rangers execute team building activities to inspire even the most jaded. Close up game viewing by safari vehicle, foot, horse or boat accompanied by experienced multi-lingual rangers who maximise every opportunity to ensure exceptional viewing during your game drives. Excellent sightings of buffalo, elephant, giraffe, rhino, zebra, hippo, hyena, warthog and numerous species of antelope are enjoyed on game drives in the reserve; not to mention the Nyala and other animals that roam freely around the lodge, never failing to generate interest and excitement in every guest from all corners of the world. The bush breakfasts, braais and dinners evoke a sense of natural flamboyance and excitement not to be missed. Crocodile enclosures, turtle feeding and swimming pools ensure fabulous moments enjoyed by all age groups. Equally fascinating is the genuine Zulu village, giving visitors an insight into a fascinating culture, and a sense of living on Bonamanzi in days gone by. Entertainment by the resident troupe of Zulu dancers instigates festivity and joy, and the mysticism evenings hosted by the Sangoma captivates as well as educates. A pampering in the renowned Amanzi Spa is guaranteed to balance and rejuvenate the soul. Conference Venues welcomes Fawncastle Conference Venue in Hillcrest, Durban to the list of growing conference venues. Whether on business or planning a holiday get-away, Fawncastle Estate offers a viable alternative to regular commercial hotels. Situated almost halfway between Pietermaritzburg and central Durban. Approximately 40 minutes from the airport and 25 minutes from Durban. This four-star guest house is located in the heart of Hillcrest and is conveniently close to all amenities, yet tranquil and offers a taste of quiet country living. Accommodation is offered in a choice of executive, standard or poolside rooms. Comprising of two executive rooms, a honeymoon suite, five pool rooms / family rooms and four standard single, twin or double rooms. Conference Room 2: Holds a maximum of 40 persons. Overhead projectors, flip charts, white board & markers, pens, paper or files, juice, sweets and water are all inclusive. Conference Venues South Africa welcomes Dolphin Coast Conferencing in Ballito, Kwazulu-Natal to its list of conference venues. The venue is ideally situated close to Ballito’s business hub at Ballito Buzz business park and can accommodate small and large groups for training, business meetings or presentations. The venue is modern, spacious and private – the perfect location to host your conference. A tailor-made package can be structured to suit your company’s specific requirements. LARASA will be hosting the 2nd international Congress from 15 – 19 September 2013 at the Tsogo Sun, Sun Coast Convention Centre in Durban. The theme of the Congress is Leisure, Social Cohesion and Transformation. The sub themes include Wellbeing and Health, Built Environment, Special Social Advocacy, Populations, Playgrounds and Parks, Tourism, Leisure Management and Education. The successful inaugural LARASA Congress held at the International Convention Centre, in March 2012 created a lasting impression on all delegates who are looking forward to enjoying the rich heritage, hospitality and warmth of KwaZulu-Natal, Zulu Kingdom, once again. Presenters and delegates are expected from the following countries : South Africa, Australia, Belgium, China, Croatia, Colombia, Italy, Kenya, Malaysia, Mauritius, Spain, Slovakia, Switzerland, Taiwan, Turkey, Uganda, United States of America, Zimbabwe. This is not a typical organization or standard conference opportunity, but an opportunity to be a part of a globally networked organization which, at the end of the Congress, will leave behind a legacy for all communities to enjoy. LARASA firmly believes in the value and benefits of Leisure and Recreation to improve the quality of life of all citizens and to transform cities into Leisure destinations. We extend an invitation to you to learn more about leisure and to meet renowned speakers from South Africa and internationally, who will share their knowledge and experience in the comfort of a modern and technologically advanced meeting venue. Built Environment / Environmental awareness / Environmental justice – includes landscaping, trails, transportation, planning for a leisure city, sustainable cities, preservation of open spaces, natural resource management. Social advocacy – systems change, social networks, social justice, developing social capital, human dignity, equity and freedom, human rights, psychological wellbeing. Parks and playgrounds – Outdoor adventure, playground audits, playground design / inclusive playgrounds, playground safety inspectors. Technology – Promoting physical activity through technological advances, ecosystems. Leisure Education – Theories, experiential learning, curriculum development, skills development. Leisure and Sport Management – Organizational development, policy development and strategic planning, implementation of services, risk management, municipal best practice, good governance. Dr. Doris R. Corbett is an Associate Professor of Sport Sociology at Howard University. Prof. Dr. Christopher R. Edginton serves as Secretary General, World Leisure Organization. The Balmoral Hotel Conference Venue is ideally situated on Durban’s Golden Mile. The beach is right on the venue’s doorstep, and it is only a short walk away from Durban’s shopping and business district including Africa’s largest Dolphinarium, uShaka Marine World. The Balmoral Hotel has been fully renovated but still retains its historic and stately character. It is considered to one of the most elegant venues along the Golden Mile Beachfront. The venue’s fully licensed Waterfront Restaurant leads out onto The Waterfront Terrace where delegates and visitors can relax and enjoy sun downers whilst overlooking the beachfront. The conference venue offers Secretarial Service, Concierge, Jockey undercover parking, Room Service, Laundry & Dry Cleaning, Babysitter on request, Multilingual Staff, Currency Exchange, and Airport Shuttle. Theatre / Tours / Transportation Service. The Balmoral Hotel Conference Venue offers 95 large bedrooms. Each room is fully equipped and elegantly furnished. The rooms are divided into the following categories: Executive Sea facing; Superior Sea facing; Standard Double Sea facing, Disabled; Standard Twin Non Sea facing and Studio Non Sea facing. The venue has 36 sea facing rooms, 47 kings or double rooms, 46 twins, 2 accessible rooms, 15 non-smoking rooms. The rooms are equipped with: Remote Control TV with selected Channels, Air conditioning, Electronic Door lock, Full Bathroom amenities, Hairdryer, Tea & Coffee Facilities, Iron & Ironing board on request, Electronic Safe, Internet access points in Sea Facing rooms. The province of KwaZulu Natal was formed in 1994 when the province of Natal and the different areas that had made up the homeland of KwaZulu was combined into one province. Because of the diverse and complex topography of KwaZulu Natal, the province has a varied climate. In general, the coastal areas are tropical with a progressively colder climate towards the inland regions. Geographically the province is divided into three distinct regions. There is the lowland region along the Indian Ocean coast, the central region in the Natal Midlands and two mountainous areas namely the Drakensberg Mountains in the west and the Lebombo Mountains in the north. The Tugela is the largest river in KwaZulu Natal, flowing west to east across the center of the province. The coastline of KwaZulu Natal is dotted with small holiday towns. 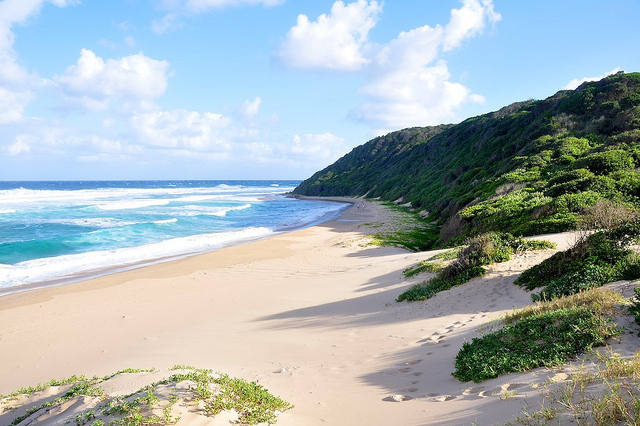 Superb beaches of world-class quality are to be found along virtually every area of the KwaZulu Natal coastline. The leading industry in KwaZulu Natal is sugar with dairy, corn, sorghum, sheep, cattle, citrus fruits, cotton, pineapples and bananas also being raised. There is also an emerging wine industry in KwaZulu-Natal and other industries in the province include chemicals, paper, textile, clothing, rubber, fertilizer, oil refineries, tanneries, vehicle assembly and food-processing plants. Durban is a rapidly growing metropolitan area in KwaZulu Natal. It is one of the busiest ports in Africa and also has a good rail network linking into Southern Africa. Newcastle is the industrial powerhouse of the province with Mittal Steel South Africa situated there. Newcastle has also become the largest producer of chrome chemicals in KwaZulu-Natal. Other large operations include a diamond cutting works, various large engineering concerns, the Natal Portland Cement plant, and the Ingagane Power Station. The textile industry is a significant employer in the Newcastle area, with over a hundred textile factories belonging to Taiwanese and Chinese Industrialists. Complimented with service excellence, the Elephant Lake Hotel, is the perfect venue for conferencing, company functions, workshops and teambuilding. The Elephant Lake Hotel St Lucia is located on the shores of the St Lucia Estuary in the town of St Lucia. The Hotel has a Three Star South African Tourism Grading and boasts 58 luxury, en-suite, air-conditioned rooms, with the majority sharing a westerly view across the St Lucia Estuary. All rooms are equipped with Digital Satellite TV, tea/coffee facilities, hair dryer and full range of bathroom amenities. The Hotels ground floor has 26 rooms all with a private patio’s leading out onto beautiful manicured lawns and a sparkling pool. An upmarket restaurant leads out to the pool patio area. The fully equipped 100 seated conference/function facility is situated on the ground floor. Conference facilities at The Golden Horse Casino Hotel are modern, offering flexible conference venues with up to date equipment. The Conference Centre adjoins the Scottsville Race Course and the Golden Horse Casino Complex with various venues catering for up to 500 delegates. Set in Pietermaritzburg in the Natal Midlands, 45min from Durban, The Golden Horse Casino & Hotel complex is the only hotel in Africa and one of few in the World boasting both a casino and a turf racecourse making a veritable punter’s paradise providing pulse-racing entertainment and casino gaming amidst, the sport of kings. The four star hotel is a world class stay with unmatched hospitality and 86 large en-suite bedrooms fit for a king, beautifully decorated and equipped with data lines for laptops, telephone, room safes and satellite TV. The Hampshire Hotel conference meeting rooms can accommodate up to 145 attendees in a variety of configurations. Amenities include cable modem, DVD player, flip chart and markers, modem lines, VCR and whiteboard. The venue also offers event catering and complimentary high–speed wireless Internet access. The Hampshire Hotel offers modern accommodations located by the Famous Dolphin Coast and just 6 miles from the King Shaka Airport. The hotel offers tastefully decorated rooms which are equipped with custom comforters. All rooms include 37-inch LCD TVs and free Wi-Fi internet access and most rooms offer views of the outdoor pool. 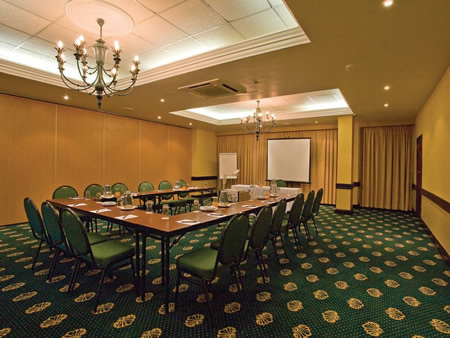 The conference facilities at the Durban Manor Hotel & Conference Centre cater for a maximum of up to 200 people in Cinema Style, Cocktail, U-Shape, and School Room & Round Tables. Seven function rooms that accommodate up to 200 people in different set-ups and unique features include entrance hall, coffee shop, dining rooms and bar. These offer a variety of comfortable and well-appointed venues for conferences, weddings, banquets and have been used as film advertisement locations. The Conference facility at Dragons Peak Mountain Resort can host groups of up to 100 delegates and is equipped with overhead projector, VCR, large TV, White Board, Flipchart, wall to wall Carpets, padded Chairs and Air-conditioning. The venue is situated on, a family owned, 1000 acre wilderness estate set in the shadow of Cathkin Peak and Champagne Castle, part of the rugged Drakensberg mountains of Kwa-Zulu Natal. Purchased in 1955 by the Tungay family and developed over three generations, the resort retains its country charm and unspoilt views of the majestic Drakensberg Mountains, bordering the prestigious Drakensberg Ukhahlamba World Heritage Site, renowned for both its geographic and cultural significance. The Protea Hotel Karridene Beach Resort has the latest in conferencing equipment and can accommodate up to 200 delegates. Eight different conferencing rooms can accommodate 2 to 200 delegates in a variety of venues – from basic work areas to boardrooms overlooking the Indian Ocean to dinner dances and banquets for up to 150 guests. Only 20 minutes south of Durban, this modern and luxurious South Coast hotel resort is well-known for its excellent accommodation, wonderful food, friendly hospitality and superior service. 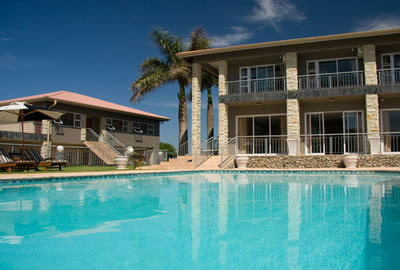 Situated between the lagoon and the beach at Illovo, it also boasts an award-winning caravan park. Sporting and recreational activities and nearby facilities include golf, squash and swimming. We are delighted to announce the inclusion of Umthunzi Boutique Hotel Conference Venue to our list of conference venues. The hotel is situated in Umtentweni on the KwaZulu Natal south coast region of South Africa. Umthunzi is a brand new 19 roomed up market boutique hotel and conference centre, ideally located for visitors to explore all the local attractions. The Boutique Hotel Conference Venue offers stunning sea views and is situated a mere 700metre walk to the beach. With KwaZulu Natal’s all year round temperate climate and pleasant water temperatures, visitors can enjoy both beach and bush getaways. The region is also unsurpassed for golfing, fishing and birding enthusiasts. Umthunzi’s up market conference room can be set up from an intimate boardroom meeting facility consisting of only 10 people, to a cinema type setup that can accommodate up to 80 delegates or more. This venue is ideal for any wedding, birthday, anniversaries, conference or event in the KwaZulu Natal South Coast area. This venue offers additional services such as spa treatments on site, team building, theme evenings and entertainment.